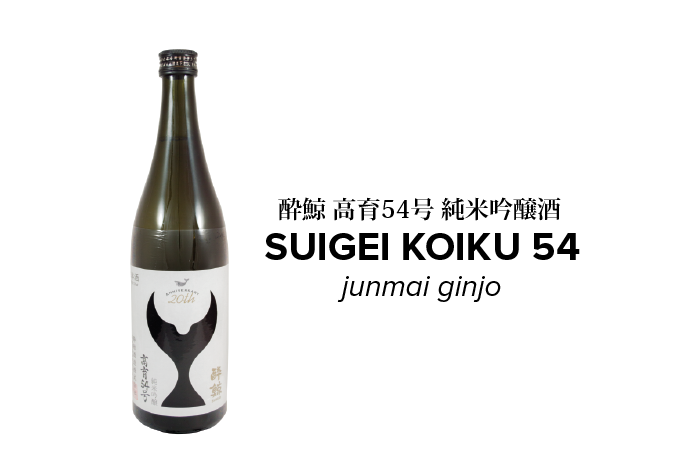 This premium Junmai Ginjo from Suigei Brewery is brewed with Kochi Prefecture’s original Sake rice “Gin No Yume,” a hybrid of Yamadanishiki and Hinohikari rice. During the development of this rice, it was initially called “Koiku No.54” and since Suigei Brewery was the first to experiment brewing Sake with this rice, the brewery kept the name to preserve its originality. Its inherent taste, which speaks volumes about the quality of its raw ingredients, is dry yet carries a discernable solidity. Savor this mixture of umami-filled, refreshing acidic brew—chilled with a meal.